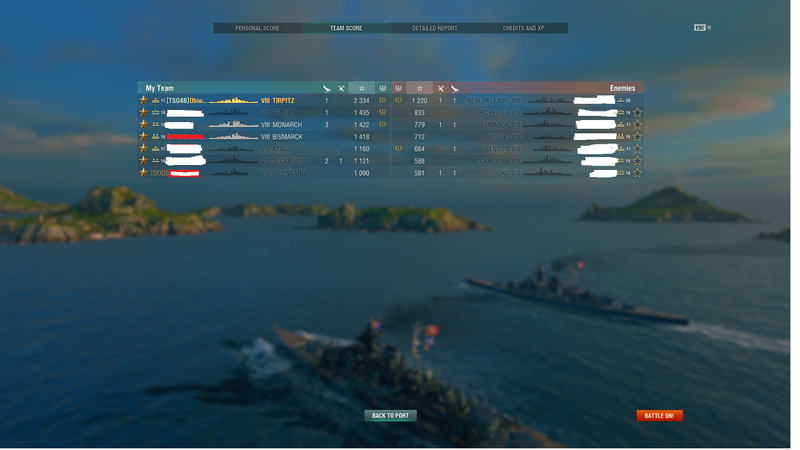 I can understand why you were given salt with your skills how you were on top is beyond me did the rest of the team all go to the other side and leave you by yourself and you go lucky and rammed that ship. Just played my 3rd ranked game this season 2 losses, the one I was in a DD (Lo Yang) I was first and didn't go backwards and 1 win (the Kidd). I am moving up real fast, rank 16 here I come.